Late summer can be a stressful time for many families. As exam results day approaches for GCSE and A Level students, tensions run high and anxiety starts to kick in. Waiting to find out if your child has achieved the grades they need to get into their chosen college, course or university can make family life difficult. Add to that the stress of being off with the kids, filling rainy days with exciting entertaining activities plus holiday delays and traumas – August can be a tricky month to navigate. Would you like a chamomile tea? 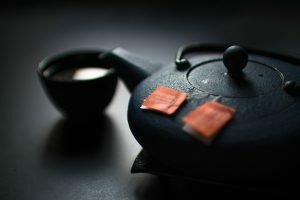 Traditional ways of dealing with stress and anxiety include drinking chamomile tea or putting lavender oil on your pillow or in your bath water. You could try going for a walk (apparently taking your pet for a walk is doubly relaxing), or taking up a new hobby to focus your mind on something different. I read an article that claimed washing the dishes was the best non-traditional stress buster. It trains the brain to focus on the detail of the task in hand rather than the issue that’s causing the stress. I like this idea, but sometimes just talking about your anxiety with someone else makes the biggest difference. Calming breathing techniques, yoga, tai chi and massage are all great stress busters. Classes and alternative therapies like these help people to view their situation differently and strengthen your belief in your capability to cope. Reflexology falls into the same category as yoga, meditation or massage. I may be biased (ok, I am biased!) but it’s the most brilliant way to relieve stress and anxiety. As a holistic therapy it’s soothing, relaxing, calming and non-invasive. It doesn’t just treat the feet; it treats the mind, body and spirit as a whole. We have 15,000 nerves in our feet. During a reflexology treatment each one of those nerves receives individual attention, which aids relaxation throughout the body. Sounds divine, doesn’t it?! When treating a client with reflexology for stress we focus on three reflex points: the adrenal gland, solar plexus and diaphragm. These are all located just under the ball of your foot, or as reflexologists know it, the ‘fire’ area. This area of the foot controls your emotions such as fear and anger. When you’re stressed, it can feel hard or enlarged. Focusing treatment on these areas alleviates stress and relaxes your breathing. It restores normal energy flow around the body so you feel calmer and sleep better. Do you tend to over-indulge when you’re stressed or anxious? Turning to refined sugary snacks, junk food and alcohol during times of stress leads to a build up of toxins in your body. Once the initial buzz or energy spurt has worn off, it can leave you feeling sluggish and tired. Reflexology boosts energy flow and helps your body to eliminate toxins naturally. Drinking plenty of water after a reflexology session helps too. Your feet are not the only part of your body that reveal signs of stress and anxiety. We hold a lot of tension in our hands too. Clenched hands, tense fingers and twitchiness are all signs of tension and worry. Hand reflexology is a fantastic simple technique that everyone can learn to induce calmness in stressful situations. I love to teach clients how to locate specific pressure points in their hands to help with their concern or condition. The technique helps you handle difficult situations like queuing for exam results or waiting for the postman to deliver them! 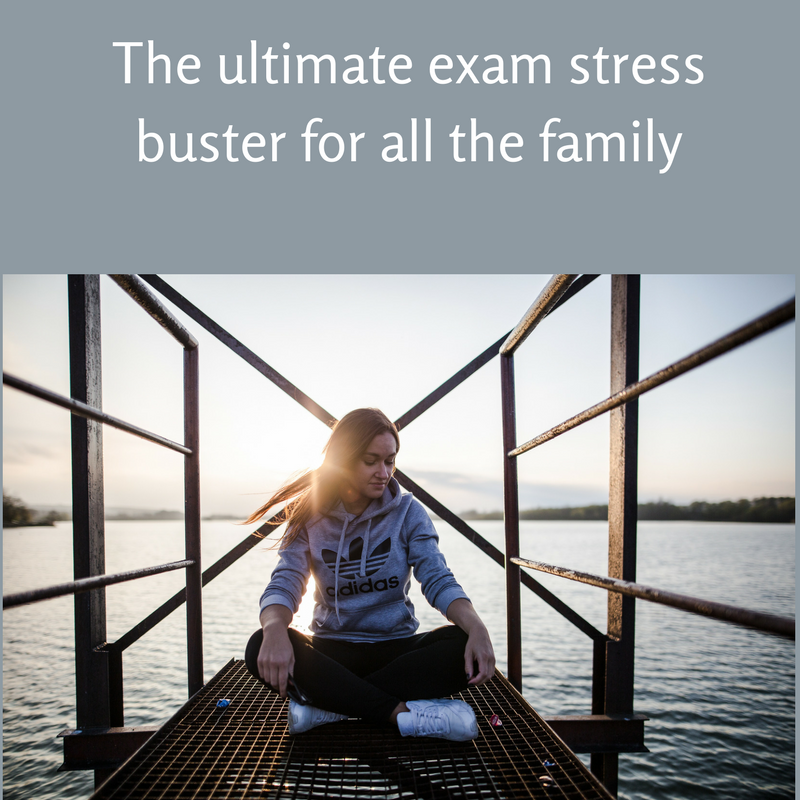 If you know a student who’s nervously waiting for exam results, why not book them a reflexology session to help calm their nerves and take their mind off the situation. There’s no minimum age for treatment. Reflexology is for everyone – stressed parents too! I wish every family awaiting exam results this summer the best possible outcome. Be there for your offspring and hold their hand when they need it. Aside from reflexology, my top tip for reducing stress is a big hug. It never fails to do the trick for me.